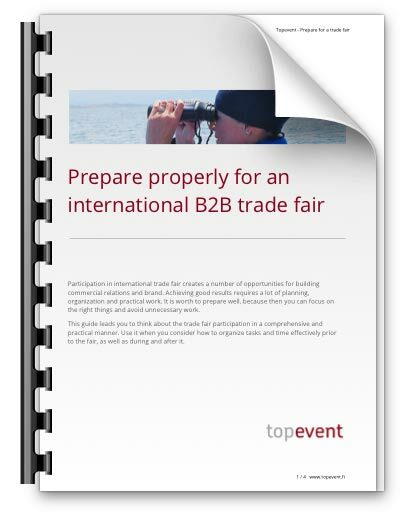 Participating in international B2B trade fairs can serve a wide variety of goals. 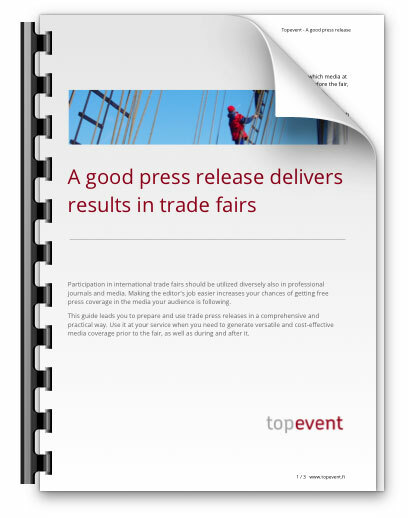 Efficient and cost-effective participation in the fair is planned as a whole, connected with the company’s other sales and marketing activities. Are you targeting to get direct sales at the fair or for example, new sales contacts or business partners? Do you primarily want to strengthen the existing customer relations or commitment of your distribution chain or staff? Are you going to explore the trade fair presence of the competitors and other interesting companies or is the most important thing for you to strengthen your brand by right presence at the right place?